In early September I was involved with the work of Abel Tasman Birdsong Trust in transferring 40 saddleback from Motuara Island to Adele. This work is likely to result in the establishment of a species that has been absent from the national park for probably 150 years. Saddleback belong to a family of birds ( the wattlebirds or Callaeidae) which is known only from New Zealand. 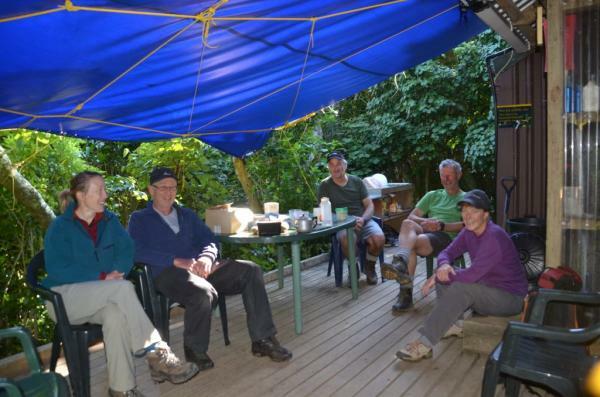 The other members of this family are the kokako and the now extinct huia. Saddleback have a rather naïve habit of roosting and nesting close to the ground so were one of the first species to disappear from mainland NZ following the arrival of rats. It is interesting to reflect that it was exactly 50 years ago that rats colonised the last safe habitat for South Island saddleback on BigSouthCapeIsland – off Stewart Island. The subsequent extinctions of bush wren, South Island snipe and the greater short-tailed bat were a devastating example of how prone our fauna is to these predators. However the efforts to save the saddleback from a similar fate were successful with their transfer to adjacent predator-free islets. As techniques for rat eradication have advanced species translocations have become more common and a key tool for bird conservation throughout the country. 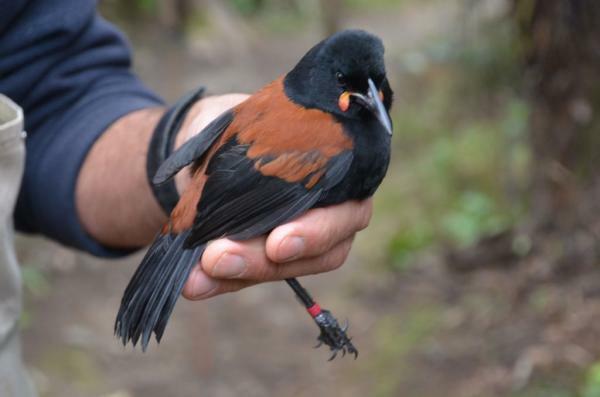 This latest effort from the Birdsong Trust takes the total number of island populations of South Islandsaddleback close to twenty. Mainland efforts for bird conservation take continual work to reduce predator numbers; the gains are hard-fought and not always easy to measure. By way of contrast, with small islands it is possible to eradicate the pests and the borders can be well defended . Introductions such as this are very likely to be successful whereas it couldn’t be contemplated on the mainland despite the best pest control methods currently available. For these reasons island translocations come as light relief for wildlife managers and a cause for celebration. The release of these saddleback on Adele was cause for such a celebration and involved a wide cross section of our community. 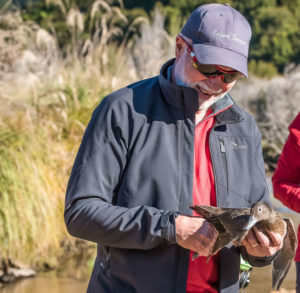 Representatives from Te Atiawa ki te tau ihu were able to hand over guardianship of the species to local Maori from Ngati Rarua and Te Atiawa. Volunteers from the Birdsong Trust could be involved in a very visual and quantum leap in conservation gains, children could be enthralled by the importance of the occasion and actually open the doors on the transfer boxes. 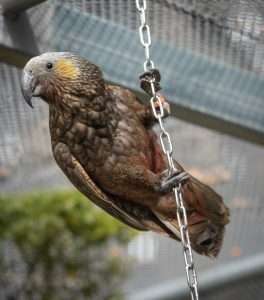 Politicians, DOC employees, tourist operators and the public at large had a rare opportunity to feel involved in a significant win.For those back on Motuara there was relief that all birds had survived their capture in mist nets, holding in cloth bags, health checks and banding followed by days in a small aviary being fed an artificial diet. Then it was capture again, transfer boxes, a carry to the jetty, boat trip to Ship Cove and a chopper ride to Adele. Lets hope they find Adele to their liking.